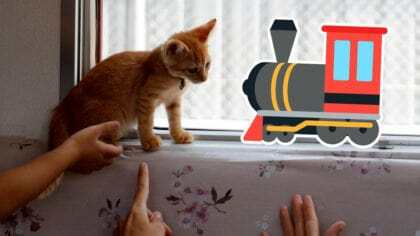 Japanese railway company launches ‘cat carriages’, lets passengers play with feline friends! 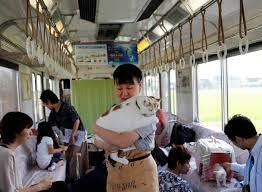 A train company in Japan has let stray cats ride the rails for the first time. Around thirty cats hopped on board the carriages of the train, while passengers played with them and cuddled them. The event was to raise awareness of the stray cats in Japan. 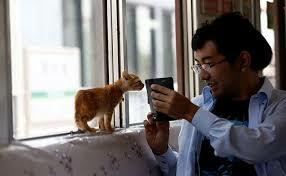 The cat population in Japan is around 9.8 million but many are left and abandoned when they’re very young. The number of cats in Japan admitted to shelters has dropped by around 70 percent to 72,000 in 2016 from almost a quarter-of-a-million in 2004. The event was hosted by Yoro Railway and a charity called the Kitten Cafe Sanctuary. Although it’s unclear if the cat train will run all the time, things like these seem to be working to save stray cats in Japan! I think it’s great more people are aware about stray kittens through events like this! That’s what a passenger from western Japan who owns two stray cats, Mikiko Hayashi, said.